Tibetan Democracy Day is an annual holiday celebrated on September 2 by the Tibetan community in exile. On this day in 1960, the Parliament of the Central Tibetan Administration was officially established. Its jurisdiction extends to the Tibetan diaspora outside of China. Tibet was a de facto independent state ruled by the Dalai Lama from the collapse of the Qing dynasty in 1912 to the incorporation of Tibet by the People’s Republic of China in 1951. In October 1950, the People’s Liberation Army entered Tibet. In 1951, representatives of the Dalai Lama exceeded their authority and signed an agreement with Beijing, authorizing the rule of the Central People’s Government in Tibet. The Dalai Lama fled to India after the suppression of the 1959 Tibetan uprising and set up the Tibetan Government in Exile in the city of Dharamsala. The democratization of the Tibetan government was the Dalai Lama’s own initiative. He decided to create an elective legislative organ that would comprise representatives of the traditional provinces of Tibet and the major schools of Tibetan Buddhism. 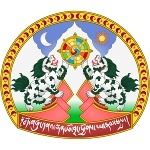 The Parliament of the Central Tibetan Administration began functioning on September 2, 1960. The anniversary of this event is celebrated by the Tibetan diaspora as Tibetan Democracy Day. As of 2017, the Tibetan Parliament in exile consists of 45 members: 10 members each from the three traditional provinces of Tibet; 2 members each from the four major schools of Tibetan Buddhism and the traditional Bon religion; 2 members from Europe, 1 from North America, 1 from Canada and 1 from Australasia.